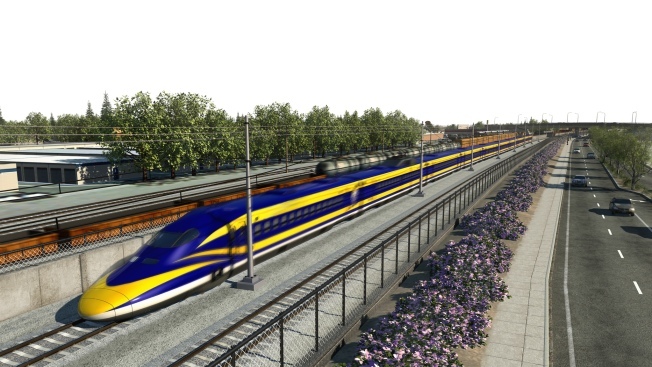 High speed rail in California may open up a new housing market. On Friday, officials are expected to announce the first leg of the bullet train will run from San Jose to Bakersfield. Plans estimate by 2025 the high speed rail will take folks from San Jose's Diridon Station to Bakersfield in less than an hour. The bullet-train commute may be intriguing for Bay Area residents getting priced out of the local housing market. "The biggest problem the state of California faces today in today's market is housing affordability," said William Redmond, a Bakersfield realtor. Redmond is thrilled with the high speed rail project and the possibilities it will bring. The longtime realtor knows the high speed rail from San Jose to the Central Valley opens up a whole new market. Home values in the Bakersfield area currently average $240,000. "You an have a real nice home, whether it be new or resale," Redmond said. "Not have a whole lot of money to put down and live comfortably." South Bay realtor Christina Gonzalez also said California's bullet train is good for the housing market. The bottom line, according to Gonzalez, is we are in a seller's market with an average home in Santa Clara County going for around $1 million. "We have less than a months inventory, so it's a seller's market," Gonzalez said. "Hasn't been a buyer's market since 2012." Good new for those who love the Bay Area, but just can't afford it. "I think it could be a good option for some people," Bay Area-resident Nathan Caswell said. "For a lot of people it's not an option to buy here.